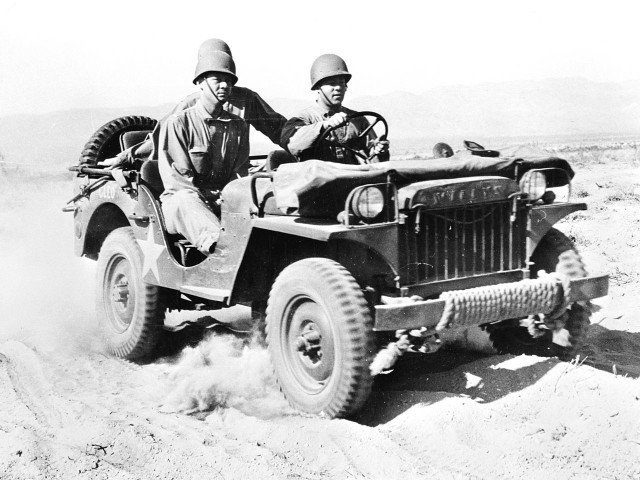 The story of the Jeep begins in the late 1930s, when the United States military was searching for a vehicle that was light, rugged and could travel over rough terrain. By the early 1940s, the Jeep’s design was complete, and the rest is history. 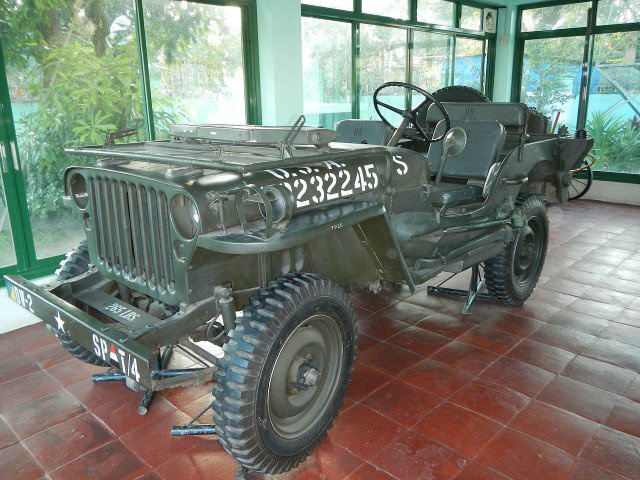 Here are 20 facts about World War II Jeeps. 1.The first version of the Jeep was produced by the American Bantam Car Company, who won a bid between three companies. They were not the lowest bidder, but they believed they could produce a test model within the military’s tight time span of just 75 days. 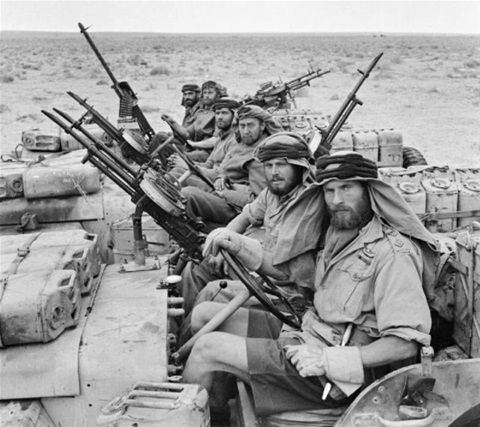 The vehicle was completed in time, and carried the name “Blitz Buggy”. Willy’s MA as seen in 1942. 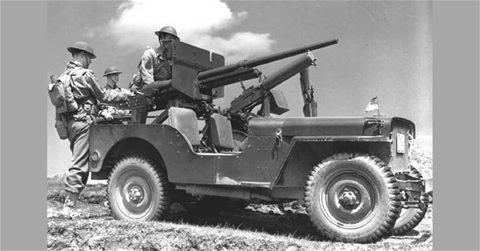 2.The United States military encouraged both Willy’s-Overland Motors and Ford Motor Company to build test models, as American Bantam Car Company lacked the production ability that both Willy’s and Ford offered. 4. 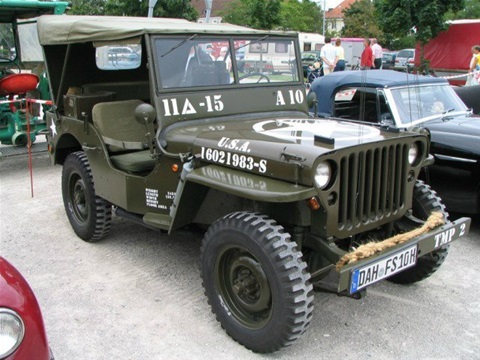 The United States decided to choose one manufacturer, Willy’s-Overland Motors, to build the Jeep. Willy’s won the contract due to its engine being the more powerful of the three and, as such, an order for 16,000 vehicles was placed. 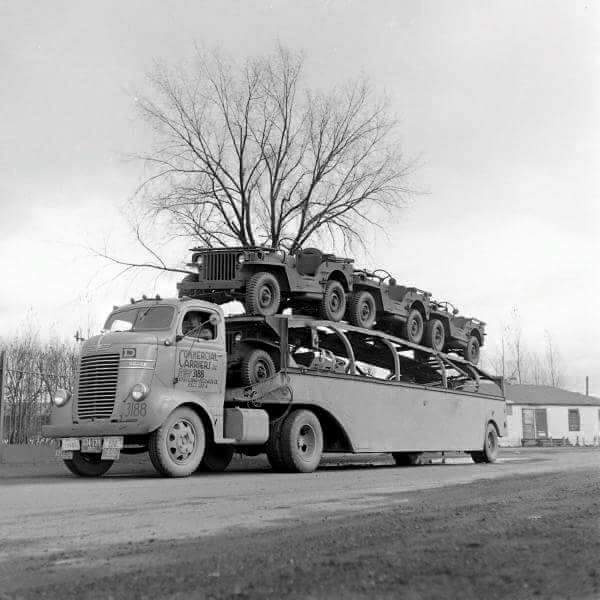 These models were designated Willy’s MB (or, Model B). 5. There were over 360,000 of the Willy’s MB produced, making it the most popular Jeep made during the time. 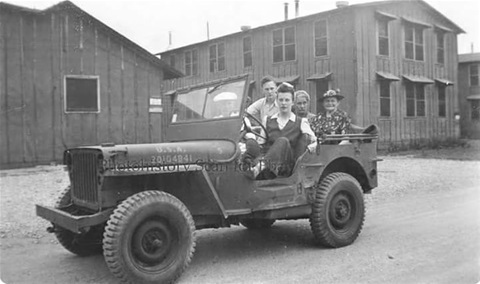 Ford produced over 270,000 of their Jeep variant in the same timespan. In total, there were over 640,000 Jeeps built during World War II. 6. There were, in total, eleven different variations of Jeeps produced during World War II by three companies. 7. The Ford GPW and Willy’s MB designs are very similar. The only way to tell the difference is to locate the name plates on the vehicles. 8. The Jeeps were simple in design. The 1941 Willy’s MB had a push button start, literally. To start the Jeep, you had to push a button on the floor. There were no keys. 9. These Jeeps had no doors and came equipped with a cloth roof. The windshield that is pictured above was an afterthought by Willy’s, who added it after seeing Ford’s design during the bidding stage. The windshield was versatile, as it could be put down if necessary. 10. 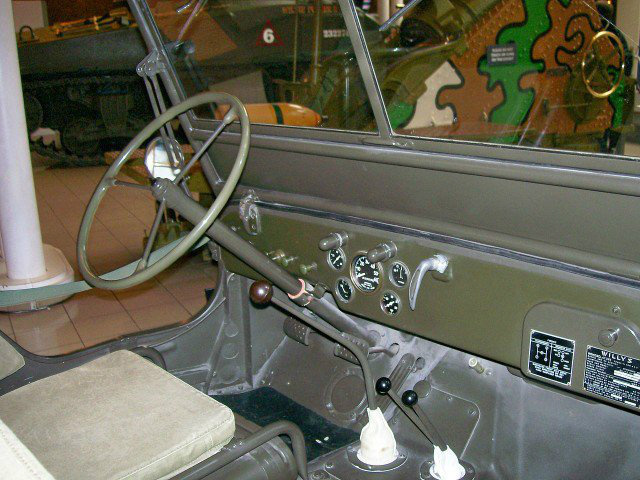 World War II Jeeps had a three-speed transmission. There were three gears, as well as reverse. This worked well with the 4 cylinder engine. This Engine was capable of producing 60 horsepower at 4000 RPM, which was good by the standards of the time. The Willy’s Jeep was capable of doing 45 miles per hour and included a four-wheel drive. 12. The Jeeps had a minimum ground clearance of 6.25 inches and a wheelbase of 80 inches. This meant that the vehicle from bumper to bumper was over 10 feet long. 13. Payload wasn’t really an issue, but it could haul between six hundred to a thousand pounds if necessary. 14. Jeeps came with a spare wheel, usually located on the back, as well as a gas tank which could be attached to the side. 15. Ford designed the now famous stamped grill during World War II. This is the same grill design that you see on Jeep Wranglers today. The original grill was composed of 9 slots. Willy’s-Overland Motor would later change their Jeeps to a 7 slot grill, which is what the Jeep brand has stuck with since. The move was made because Ford Motor Company had copyrighted the 9 slot grill. 17. 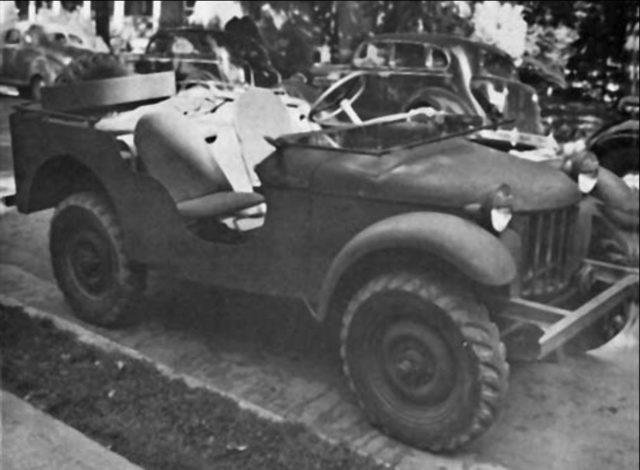 Jeeps were used to carry the wounded, as there was a back seat which could be converted to a stretcher. Other uses included laying communication lines and transporting high-ranking officials around. 18. While the Jeeps primary use was for the ground, it could be converted to rail use if necessary. Once converted to a train, Jeeps had the ability to pull up to ten tons by rail. 19. Ford was commissioned to build an amphibious Jeep, to be named “Ford GPA.” Once built, the vehicle proved to be unsuccessful as it was slow, heavy and performed poorly in the water. There were nearly 13,000 of these produced. Many of these went on to be used by the Soviet Union, who used them for crossing rivers. 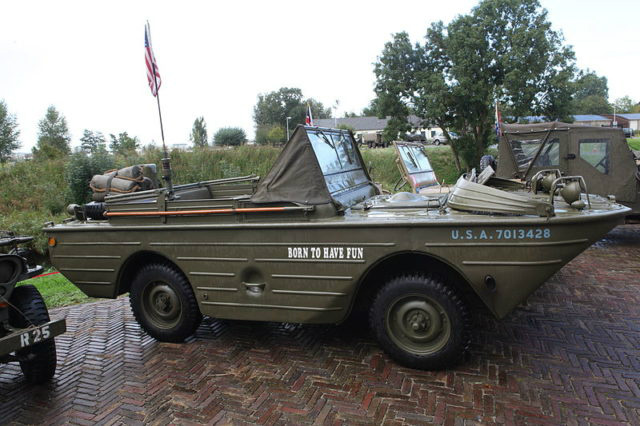 They would later create their own design of this amphibious vehicle. 20. The exact reason Jeep got the name Jeep is unknown. However, it is believed that it could be from Ford’s use of the abbreviation GP on the Ford GP and Ford GPW, with the “G” meaning “Government” and the “P” designating the vehicle as having a wheelbase of 80 inches. 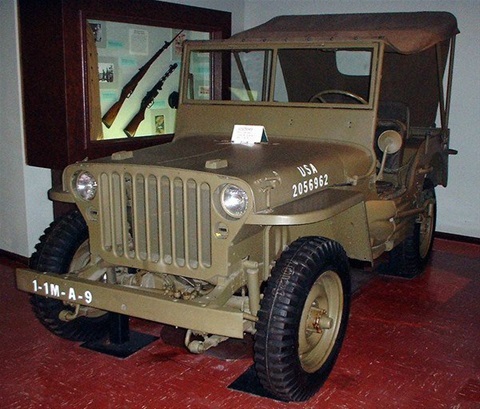 Other popular theories include an idea that it is based on the cartoon character, “Eugene the Jeep.” Wherever the name came from, it saw widespread use during World War II, to describe the legendary line of vehicles.